Nelly, a precocious 12-year-old, lives in Berlin with her German Christian dad and American Jewish mom, who is very eager for Nelly to crack down on her bat mitzvah studies. But her twin obsessions—astronomy and her distant fantasy heartthrob, 16-year-old Edouard, Prince of Luxembourg and fellow stargazer—occupy all of her time. Nor is she much interested in the simple-minded girls' basketball team, which fills the lives of her schoolmates. But when Nelly learns that those who make the basketball team will go to a tournament in Luxembourg hosted by her favorite prince, she negotiates a deal with her neighbor, Max: she’ll do his homework if he coaches her to become a clutch basketball player. 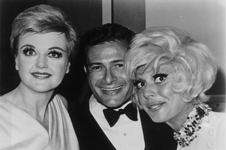 A winning comedy for all ages, MAX, MINSKY AND ME brims with Jewish life, the trials of adolescent angst, and the delights of a young girl’s vivid imagination. Menahemi’s comedy-drama tells the charming story of a young Israeli woman and an abandoned Chinese boy whose lives and loves converge in the most surprising manner. Miri, a 30-something flight attendant who has been twice widowed, lives with her volatile sister Gila who is in the throes of a mid-life crisis. When Miri is asked one day to look after their Chinese maid’s young son, she thinks nothing of it. But when the mother fails to return, she finds herself obliged to care for a six-year-old Chinese boy, silently waiting for his mother. Thus begins a remarkable journey involving an array of engaging characters, who cross continents and cultures in an attempt to reunite mother and child. Set in the vast Kazakhstan steppes, Abdrashev's story is a harrowing account of ethnic persecution in the postwar Soviet years, told through one man's nostalgic childhood memories. Uprooted by Stalin's regime, masses of ethnic minorities are deported on a train to Central Asia under dreadful conditions. During a stopover, a Jewish boy, Sashka, is found in a railcar filled with dead bodies. Rescued by a Muslim rail worker, he is cared for by a surrogate family in rural Kazakhstan, yet he dreams of finding his exiled parents. Intercut with scenes of his orphan upbringing are contemporary scenes in Sashka's spiritual homeland of Jerusalem, and his memories of a pet goat, a symbol that reveals its murderous significance in the film's shattering conclusion. Winner of the Grand Jury Prize at the Sundance Film Festival, STRANGERS confirms that love and desire can trump religion and politics in a heartbeat. Eyal, an Israeli kibbutznik, and Rana, a Palestinian woman from Ramallah, meet serendipitously on their way to the World Cup soccer finals in Berlin after their bags are mistakenly swapped. A quick magnetic glance on a subway soon becomes an unbreakable bond, even as war in the homeland tests their loyalties. Innovatively filmed with handheld cameras and unscripted performances, STRANGERS is a strikingly realistic treatment of a complex relationship in which politics and personalities collide. One night at a bar, an old friend tells director Ari Folman about a recurring nightmare in which he is chased by 26 vicious dogs. The two men conclude that the dream is connected to their Israeli Army mission in the first Lebanon War of the early eighties. Ari is surprised that he can no longer remember a thing about that period of his life. Intrigued by this riddle, he decides to meet and interview old friends and comrades around the world, hoping to discover the truth about his experience and about himself. As Ari delves deeper and deeper into the mystery, his memories, in the guise of surreal images, begin to emerge. 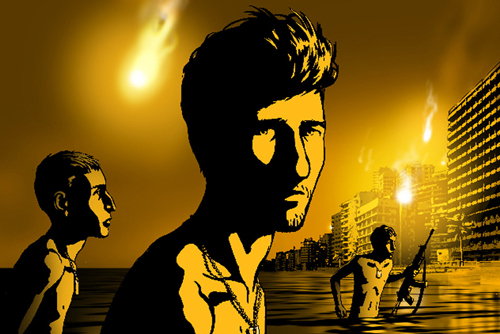 Strikingly animated, WALTZ WITH BASHIR conveys the trauma of memory and sheds light on one of Israel’s most controversial wars, and on the horrors of the Sabra and Shatila massacre. This year’s Israeli submission for the Best Foreign Language Film Oscar. Adult content. Rabbi Joshua Stampfer will introduce the film. 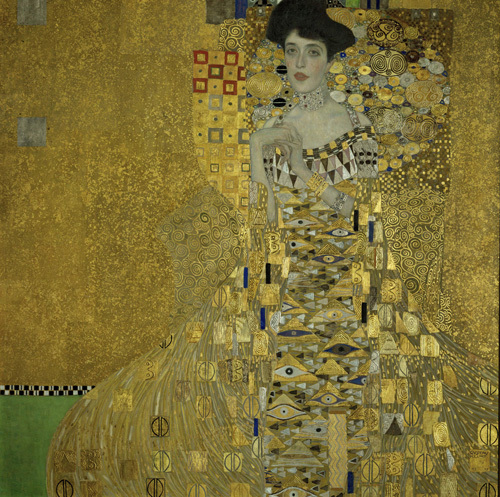 STEALING KLIMT is an individual tale of the massive theft of property, including art collections throughout Europe, perpetrated by the Nazis. This dramatic film recounts the decades-long struggle by Maria Altmann, born and raised in Austria, to recover five Gustav Klimt paintings stolen from her family by the Nazis in 1938, and hanging in the Austrian National Gallery since 1945. “Propelled by eloquent talking heads, this detective tale brims with juicy plot points exposing how 20th-century crimes continue to create unsightly bulges under 21st-century rugs.”—Variety. Adapted from the award-winning autobiographical novel by Philippe Grimbert, A SECRET is the haunting saga of a Parisian Jewish family torn apart by passion and shame during World War II. Miller (THE LITTLE THIEF, THE ACCOMPANIST) shifts between events past and present to tell the story of François, who is seeking the painful truth both about his own identity and those of his detached, aristocratic parents. Not until a family friend shatters the illusion of an idyllic childhood can François decode the family tragedy that unfolded under Nazi occupation. A harrowing mystery-drama that raises troubling questions about collective memory and the consequences of denial, A SECRET won the Grand Prix at the Montreal Film Festival. James Moll’s moving film tells the story of five remarkable people whose strength and will to live exemplify the extraordinary power of the human spirit. In late 1944, despite the apparency of Germany's imminent defeat, Hitler decided to bring the Holocaust to Hungary. In one of the last centers of Jewish culture in Europe, the Nazis deported and killed 425,000 people in just sixty days. Told through the voices of survivors, THE LAST DAYS interweaves private accounts, pivotal historic footage, and a powerful score by Academy Award-winning composer Hans Zimmer to fashion “a concise, devastating history.” —New York Times. Winner of the Academy Award for Best Documentary Feature. COSPONSORED BY PORTLAND CENTER STAGE AND THE PORTLAND ARCHDIOCESE. Melanie (Susan Sarandon), a survivor of Drancy, a transit camp set up outside Paris during the Nazi occupation, lives a quiet life with her husband David (Christopher Plummer) and family in rural Quebec. Her life’s work has been to bear witness to what she experienced in the camp. When she discovers that Jakob (Max von Sydow), a Polish dissident who saved her life in the camp, is still alive, she immediately welcomes him into her home. But he brings an unwelcome surprise that shatters Melanie’s insulated existence. Over the course of a momentous weekend, as they face the mysterious scars the past has left behind, all are forced to reassess the choices and compromises they have made to cope with ruptured lives. COSPONSORED BY PORTLAND CENTER STAGE AND MITTLEMAN JEWISH COMMUNITY CENTER. 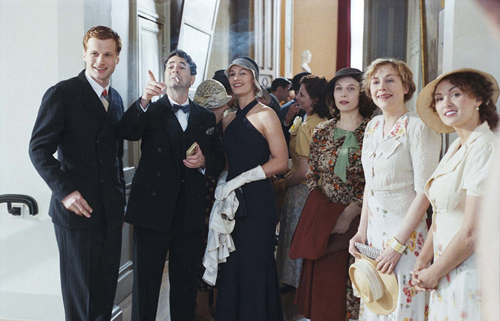 French Jews have always had a complex relationship to their Frenchness and their Judaism. From revolutionary cries of “Vive la France!” in Yiddish, through Vichy’s betrayal of Jewish citizens during World War II, to the absorption of Mizrahi Jews in the 1960s, French Jews have remained staunchly French. 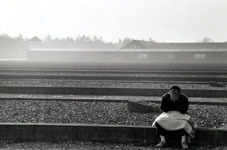 But with the influx of Arab immigrants into France and the support of the French Left (including many Jews) for Palestinian human rights, the French Jewish community has had to adjust to a multicultural society in which it is one of many minorities seeking liberté, egalité, and fraternité. Recent arson attacks on synagogues and the rise of anti-Semitic violence have caused some French Jews to reexamine their ties to France, while others view France as their homeland in joy or sadness. Set in 1987 as France is gripped by the public drama of the Klaus Barbie trial, ONE DAY YOU’LL UNDERSTAND delves into the darker recesses of conscience to connect the dots of one family’s history across four generations. A Parisian husband and father, product of the WWII marriage of a Jew and a Catholic, stumbles into a moral quagmire when work on the family tree uncovers documents pointing to what appears to be a shocking secret concerning the fate of his maternal grandparents during the occupation. Efforts to follow the trail of clues are impeded by the strange silence of his Jewish mother (Jeanne Moreau), the only living person who knows the whole truth. As the facts come into focus, Gitaï's carefully choreographed work takes on growing power as a study of memory and reconciliation. "Not exclusively a picture about the Holocaust. It is about a contradiction: human discomfort with some truths and human hunger for them. The story, as film stories go, is simple: the implications are not. "—Stanley Kauffmann, The New Republic.